Product #60795 | SKU QS-60S | 0.0 (no ratings yet) Thanks for your rating! The Vanguard QS-60S Quick Release Plate is a handy accessory that speeds up attachment & detachment to tripods. 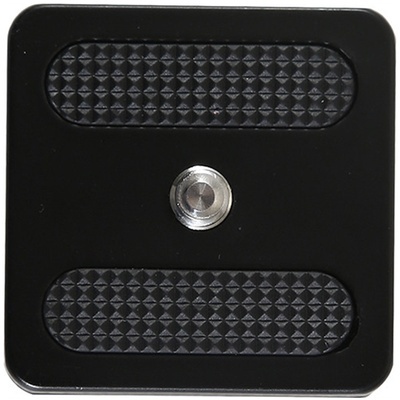 Featuring an Arca-type compatible design, 1/4" camera screw and anti-slip rubber pads, this accessory provides a solid and steady linkage in just seconds. It works especially well with a variety of Vanguard products. Having the same number of quick release shoes as the number of cameras or scopes in use ensures the rapid change of equipment with minimal fuss, essential for the professional or advanced amateur photographer.